Friday, March 7: Stop the Swish! Trampoline athlete Jerry “Iron Man” Fleming, an AIRobics instructor at Sky High Sports in Costa Mesa, Calif., will perform exercises that demonstrate Essentia’s “no bloat” benefit that have made the brand the athlete’s go-to for hydration. Show-goers will also have the chance to assess the swish with the at-home Essentia Challenge. “The Self Heath Revolution” is inspired by Zenn’s personal health quest after his father’s untimely death due to poor health habits. Determined not to follow in his father’s footsteps, Zenn poured himself into health and wellness research, talking with some of the world’s top experts. Within a few months he had lost 50 pounds, 6 inches off his waist and began to feel more vibrant. He shares his life-altering lessons in “The Self Health Revolution,” which has been praised by doctors, health experts, and industry influencers such as John Mackey, Whole Foods Market co-founder and co-CEO, for sharing simple, yet profound improvements diet and everyday habits. Essentia Water is referenced throughout his writings. Essentia Water, LLC launched its hydrating alkaline water in 1998. The first functional bottled water offered in the United States, Essentia is the no. 1 selling bottled water brand in the natural channel and the fastest growing top 10 premium bottled water brand in the grocery channel. Essentia is hydration perfectedTM, created using a proprietary process that results in an electrolyte-enhanced water with an alkaline 9.5 pH. Easily absorbed in the body, Essentia hydrates, restores and balances to promote optimal health. Headquartered in Bothell, Wash., Essentia is available at natural foods markets and grocers throughout the United States, and online at Amazon.com. 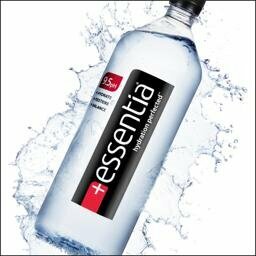 To learn more about Essentia, please visit www.essentiawater.com. Or connect with Essentia on Facebook.